Prayer will always be first. Prayer demonstrates faith and without it we can achieve nothing that is lasting. Think of us in your morning prayers, think of us in your family dinner prayers, think of us in your church prayers, think of us in your prayers as you drive home from work. We would like to challenge you to pray faithful for the life of these children here at the ranch. Below are few areas you can offer in prayer but whatever the Spirit whispers to you please pray fervently for what He has spoken. There is no secret in knowing that a ministry like this cost money. 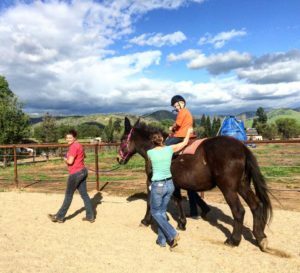 We are on a ten-acre ranch with building, animals, staff, weeds, maintenance and improvements. Liability Insurance alone is frustrating just knowing that that money could be directly supporting these kids. God is good and we know He will continue to provide. Someone ask me once “How are you going to get the kids to come out to the ranch?” I replied, “Stick and ball.” This individual looked at me obviously confused. Then I explained myself. I told the individual that I had asked that same question to a missionary friend of mine years ago, He showed me something that I ‘ll never forgotten. He proceeded to grab a stick then a ball and handed both to me. Then said, “Here, go out into the middle of the cul-de-sac and wait” Surprisingly within an hour I had 20 kids from the neighborhood playing ball with me. I’ve never forgotten that. And I use his piece of advice every day. Your financial support for this ranch provide the stick and the ball. ? (figuratively speaking) Would you please prayerfully consider helping us fund this ministry. Below are the ways you may do this. One last thing we love being blessed with large donation, but the truth of the matter is those come few and far between. It’s the small givers that populate this ministry, we are encouraged by this, and there is much reward in many. The amount does not matter to us nor does it matter to God. What truly matters is you adding to the faith of this faith based outreach. How do I give? Mail a check or give through our PayPal account via our website. Please include an email address. Is my donation tax deductible? Yes, we are a 501c3 nonprofit. The number is provided on the website or you can call Dee Dee Johnson at the ranch. Many people have blessed us through this type of support. Often at the ranch a person will call and offer us material, services, equipment, tools, plants, animals, feed, antique farm equipment just to name a few. These items are a great help in relieving us from purchasing need items or acquiring hard to find decor for our ranch. Whether you think we need it or not, give us a call and speak to Aaron (559-936-3256) These items are also tax deductible.